Empowering every local business with the opportunity to capture targeted qualified leads easily and quickly, the North Myrtle Beach Chamber of Commerce, CVB has joined forces with eZ-Xpo to make every local business’ dream come true – “daily engagement and daily leads” every day. San Francisco, CA, February 16, 2017 (Newswire.com) – The North Myrtle Beach Chamber of Commerce, CVB announced the world’s 1st Virtual TableTop Expo will kick off on Monday, February 20, 2017. The goal of the Virtual TableTop Expo is to empower local business to connect, engage, and promote their products and services with all prospects and partners 24/7. The unique benefits of the new Virtual TableTop Expo Network is that companies can engage with the attendees via live chat, or video conferencing and the system will automatically capture qualified leads for every booth exhibitor with marketing intelligence. “The North Myrtle Beach Chamber of Commerce, CVB is excited to partner with eZ-Xpo to promote local business with this powerful new lead generation tool,” said Marc Jordan, president and CEO of the North Myrtle Beach Chamber of Commerce, Convention & Visitors Bureau. “I am excited to join forces with the North Myrtle Beach Chamber of Commerce, CVB and their visionary membership roadmap and strategy. eZ-Xpo’s Virtual Expo Network, can help every local business shorten their sales cycle easily and quickly with daily downloadable qualified leads. Each virtual booth can automatically send qualified leads to the exhibitor for a quick follow-up,” explains Matt Fok, CEO of eZ-Xpo. 1. Customer Acquisition (SEO Booster for Daily Traffic & Daily Deal) – boosting daily traffic and leads. Every exhibitor can offer special deal or announcement to increase daily sales every day. Exhibitor can identify their best-qualified prospect based on their visit duration and the actual marketing content they have viewed. 2. Customer Conversion (Instant Hot Lead Alert, Search) – empowering to connect the right offerings with the right ideal customer with our new Instant Hot Lead Alert based on the best matching criteria. Participants can easily find exhibitor from “Search” feature as well to schedule meeting for detailed discussion. 3. Customer Retention & Cross-sell/Up-sell (Virtual Summit, Auditorium) – offering every exhibitor and sponsor to educate their clients and prospects through Virtual Summit and Workshops via Auditorium with webcasting capabilities. The more you can educate your customers or prospects, the higher chance they will purchase more from you. * Product or service names mentioned herein may be the trademarks of their respective owners. The North Myrtle Beach Chamber of Commerce, Convention and Visitors Bureau (CVB), an accredited five-star Chamber/CVB founded in 1999, continues to lead by example as an exemplary local business advocate and supporter, as well as a champion of North Myrtle Beach as a top travel destination within the Southeast. Since its founding, the Chamber/CVB has been whole-heartedly committed to advancing the welfare and prosperity of North Myrtle Beach while achieving a thriving, diverse and sustainable economy. In addition, the Chamber/CVB is committed to growing the North Myrtle Beach visitor and destination market by distinguishing the coastal beach town as a premiere travel destination. North Myrtle Beach welcomes millions of visitors to its pristine beaches each year, representing an economic impact of $956,134,761 on the town and its surrounding area in the summer months of 2015. For additional information about the North Myrtle Beach Chamber of Commerce, CVB and the area of North Myrtle Beach, visit www.northmyrtlebeachchamber.com and www.explorenorthmyrtlebeach.com. 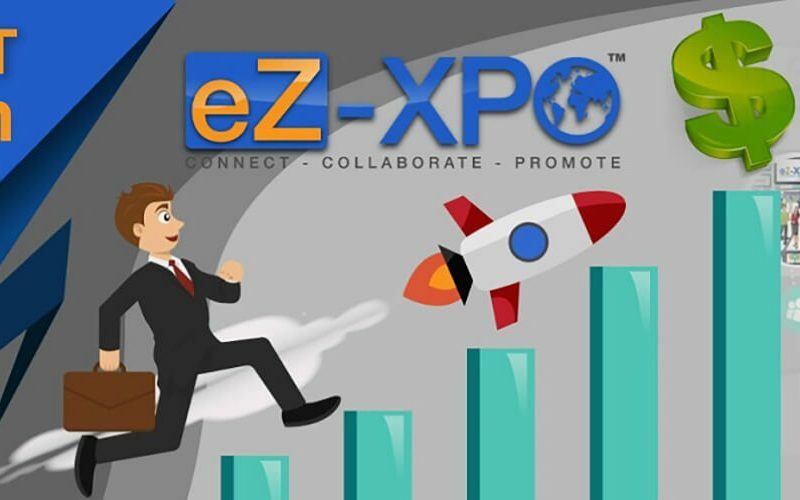 eZ-Xpo is the world leader in Virtual Collaborative Network empowering businesses connect, collaborate, and promote through networks of virtual expo marketplaces for lead generation and ongoing collaboration. eZ-Xpo transforms traditional event and trade show to a virtual collaborative profit center for daily qualified and massive traffic. eZ-Xpo delivers the world’s 1st all-in-1 virtual expo marketplace that seamlessly integrates with built-in marketing automation to follow up with every prospective customer during and after the event. eZ-Xpo has been operating in San Francisco Silicon Valley for over five years. eZ-Xpo has deployed the world’s all-in-1 virtual expo marketplace, results-oriented virtual collaborative marketing solutions for different industries and industry leaders such as MPI, Wells Fargo, New York Life, MetaStock, Boeing, and Raytheon.